Direct-to-Consumer Advertising of Pharmaceuticals as a Matter of Corporate Social Responsibility? Direct-to-consumer advertising (DTCA) of prescription drugs has been a heavily contested issue over the past decade, touching on several issues of responsibility facing the pharmaceutical industry. Much research has been conducted on DTCA, but hardly any studies have discussed this topic from a corporate social responsibility (CSR) perspective. 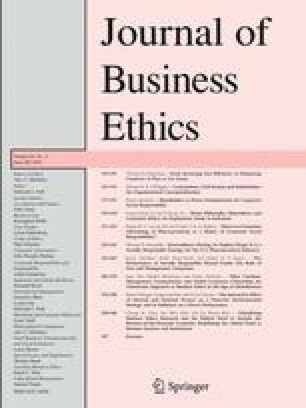 In this article, we use several elements of CSR, emphasising consumer autonomy and safety, to analyse differences in DTCA practices within two different policy contexts, the United States of America and the European Union (EU). Doing so results in an alternative analysis of the struggle between proponents and opponents of DTCA from a CSR perspective, adding an alternative view on this debate. 1.School of Sport and Exercise SciencesUniversity of BirminghamBirminghamU.K.